Chris has been turning wrenches since her college days in the 70’s. An old car, no money and a friend who was a mechanic set her on her way. Alternative Auto Care began in 1983 with a toolbox, a truck and a dream. A move to a long-term home in the Harrison West / Victorian Village neighborhood in 1986 cemented the path. A graduate of Hiram College, Chris was once a biology teacher, her commitment to education flourished in the automotive industry with numerous consumer education presentations. In 2002 Chris joined the faculty of Columbus State Community College as an adjunct instructor of Automotive Technology. Chris is an ASE certified Master Technician, Advanced Engine Performance Specialist and Service Consultant. She lives with her partner of 35 plus years, Gloria in Clintonville and they have 2 grown daughters. Jen has returned to Alternative Auto Care for the third time! 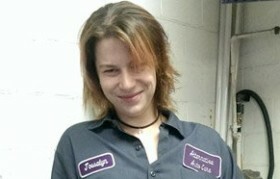 Jen also worked for Alternative Auto Care in the early 1990’s and the early 2000’s. She returns after completing an Associate’s Degree in business management and is in the final stages of completing her Bachelor’s Degree. Jen received her initial automotive training at Pickaway Ross Joint Vocational School. She has been working on cars for over 20 years, most recently at a Kia and Chrysler dealership and is a factory-certified Kia technician. Jen is also an ASE certified Technician working toward her Master Technician certification. In addition to her automotive work, Jen has been a strong advocate for women in non-traditional jobs working as a heavy equipment operating engineer and an instructor in the ONOW (Overview of Non-Traditional Occupations for Women) Program for the Ohio Department of Corrections. Jen lives in Chillicothe with her partner Cheryl. They have a grown son, a dog and 5 cats. 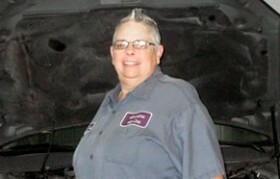 Stacey joined the Alternative Auto Care Team in May of 2012. She brings a lifelong interest–the story goes that she removed all the door knobs in her house by age 3- great mechanical aptitude, and a keen problem solving mindset to the shop. Stacey has been working on cars as a hobby for many years, first learning by helping her brother. She also was a farmer for many years and has experience working on farm equipment. 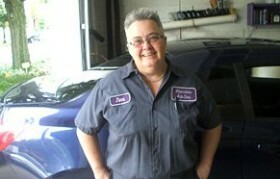 Stacey is an ASE certified Maintenance & Light Repair Technician. Prior to pursuing automotive technology, Stacey was an animal control officer and worked in animal shelters for many years. 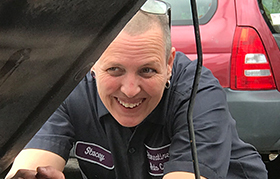 She lives in Clintonville with her partner Sara, their 2 daughters and their 2 dogs Mavis and Moxie..
Joss joined the Alternative Auto Care team in 2014. Her interest in the automotive industry started while working at O’Reilly Auto Parts which led her to Columbus State Community College where her first automotive instructor was Alternative’s owner, Chris. She has an Associate Degree in Automotive Technology from Columbus State, is an ASE Certified Master Technician and an Advanced Engine Performance Specialist. She enjoys continuing education and is particularly interested in engine performance, electronics, and hybrid technology. Joss is fluent in German, loves Rockabilly and the Blues and particularly enjoys attending live concerts. 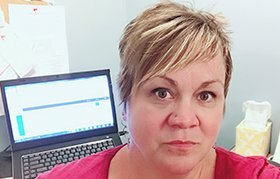 Alison joined the Alternative Auto Care team in 2017 shortly after settling in Columbus. She brings a keen eye for detail, a passion for customer service and is that friendly voice on our phones. Originally from North Carolina, Alison is a talented jewelry artist and herbalist and has spent the last 3 years traveling around the country to craft shows and conferences in a giant motor home affectionately named “Belinda the Traveling Jewel” with her partner Jamie and their 3 dogs Butterbean, Sazi and Tallulah.